Warp drives, subspace networks, inertial dampeners, transporters, holodecks, universal translators, transparent aluminum. With Star Trek, the list of high-tech concepts and gadgets (both the more well-thought-out and grounded ideas and the slightly less realistic) is nearly endless. Now, thanks to the most recent iteration of the franchise, Star Trek: Discovery, words such as “spore drive” and “mycelial network” can be added to the list. Star Trek: Discovery on CBS All Access. Photo by James Dimmock. © 2017 CBS Interactive. 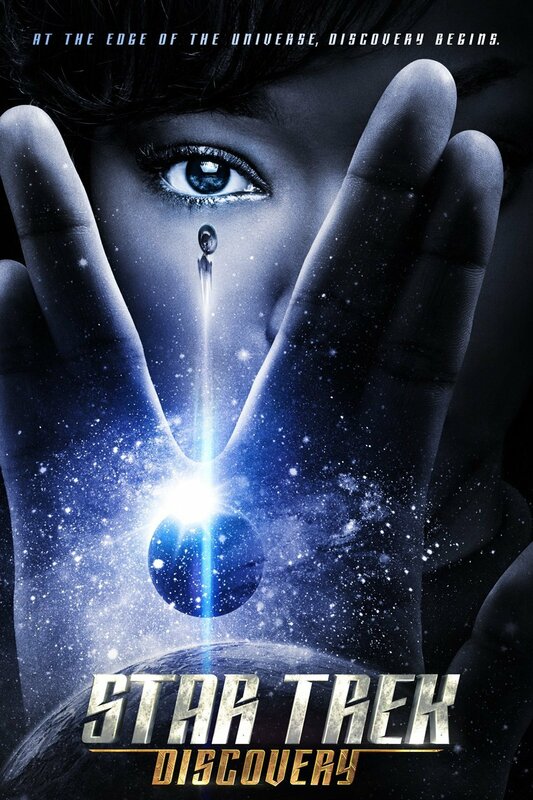 Despite taking us to the past in terms of Trek canon, Star Trek: Discovery pushed us to look forward in how we think about the plausibility of space travel and how we view the space in which our planet exists. With the USS Discovery’s experimental displacement-activated spore hub drive (mostly just referred to as the spore drive) and the exploration of what came to be known as the mycelial network, the writers attempted to assert that—at least in the Star Trek universe—wormholes and warp drives weren’t the only ways to get from point A to point B. 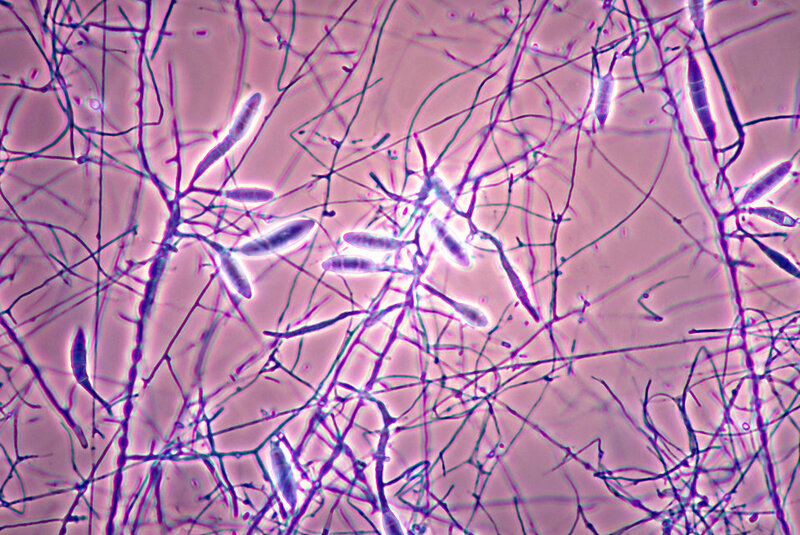 As Captain Lorca (Jason Isaacs) describes in the third episode of the series, “Context is for Kings,” the mycelial network can be imagined as a “microscopic web that spans the entire cosmos. An intergalactic ecosystem. An infinite number of roads leading everywhere.” With that, Discovery’s spore drive then served as a kind of organic propulsion system by which the ship could attempt to navigate these “infinite roads,” allowing for near instantaneous travel. In the series, the ideas behind the spore drive came from the research of Dr. Paul Stamets (Anthony Rapp), who, along with his research partner, chose to think of physics and biology as interchangeable at the quantum level. Through this thinking, and generating equations based in quantum astrophysics and biochemistry, the two were able to theorize that, as Star Trek wiki Memory Alpha says, “spores were not only the progenitors of panspermia, but also the building blocks of energy across the universe,” and thus something starships could theoretically use to travel. As the first season of Star Trek: Discovery progressed, viewers learned more and more about the spore drive and the ecology of the mycelial network, as well as the difficulties of using it as a tool for navigation. While the concept as a narrative element within the story was fascinating, the question becomes: does real-life science back it up? On an episode of After Trek, Star Trek: Discovery producer Aaron Herberts said, “Everything we do on Star Trek comes out of character, and also as much as we can ground in science, so, shameless plug: get Paul Stamets’s book Mycelium Running.” Not dissimilar from Rapp’s Paul Stamets in the series, the real-life Paul Stamets, author of the aforementioned Mycelium Running, is a pioneering researcher in the field of mycology and a vocal advocate for the applications of mushroom and fungi research. In his book, Stamets introduces us to mycelium, which he describes as the “neurological network of nature.” Mycelium is a thin web of cells made up of numerous hyphae (or “branching filamentous structures”), that, at one point in its life cycle, produces mushrooms. On top of potentially existing as a complex communication interface, Stamets cultivated mycelium as tool for creating fuel—or “econol,” as he refers to it—as well. In his 2008 TED Talk, he describes a mycelial process he discovered in which he was able to convert cellulose into fungal sugars, effectively “generating ethanol from cellulose using mycelium as an intermediary.” So while none of this quite matches up to Discovery’s use of its mycelial network as a means of near-instantaneous transportation, one can extrapolate where the idea came from when looking at real-life Stamets’s theories on mycelium as “nature’s Internet,” and its use in creating a means for propulsion in econol. With the foundational research for the mycelial network itself based in real-life Stamets’s ideas, Star Trek: Discovery spent several of its earlier episodes on finding out a way to effectively navigate its expansive hyphae that stretch endlessly throughout the cosmos. The series first gives us a navigator in the form of the large tardigrade-like creature discovered in episode 3. The tardigrade was able to successfully traverse the network, as it shared elements of its DNA with the fungal elements of mycelium. This concept checks out, according to a 2015 study published in PNAS, stating that a large percentage of the tardigrade genome is made up of “diverse bacteria as well as plants, fungi, and Archaea.” Furthermore, as the series progressed, we learn through Trek-Stamets that a human linked up with the ship’s spore drive can also successfully navigate the network. This also makes sense, as its been shown that humans and fungi share a common ancestor—one that puts us closer in relation to fungi, geneologicaly, than fungi are to plants. Many ideas in the various Star Trek iterations are often outlandish and even a little silly, but there has always been a concerted effort to ground at least some of it in reality. As it stands, Star Trek: Discovery is no exception and continues to build on not only real life scientific concepts, but ideas that are newer to the franchise as a whole. With the foundational work that season 1 has laid out so far for the series, it’s exciting to think about where Discovery’s writers will take us as the journey continues.